In Theatre Coup d'Etat's production of Shakespeare's classic tragic love story Romeo and Juliet, there's a big twist: Romeo is a woman. But the surprising thing is that it doesn't change the story one bit. It's the same beautifully tragic, frustratingly doomed love story we all know and love. The only language that's been changed are the pronouns referring to the lady Romeo. 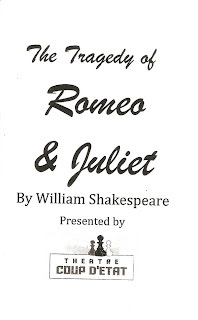 The problem everyone has with Romeo and Juliet being together is not because of their gender, but because they belong to warring families in Verona. It's a very quick and easy transition to get used to a female Romeo, and from there, the power and drama of the classic story take over. But before we get to the play, there was a strange but fascinating pre-show show. First, the cast gathered onstage for a yoga and vocal warm-up, which was kind of fun to watch. Then all of the actors transformed into animals, crawling around the stage sniffing and growling at each other. I had a brief moment of fear - they're not going to do Romeo and Juliet as animals, are they? Fortunately that was not the case, and the exercise ended as quickly as it began. The actors/animals left the stage, and after a moment, the Prince entered, and the story began. I still have no idea what that was about; it was a strange preamble that seemed to have nothing to do with the play, but it certainly was interesting! On to the main event. 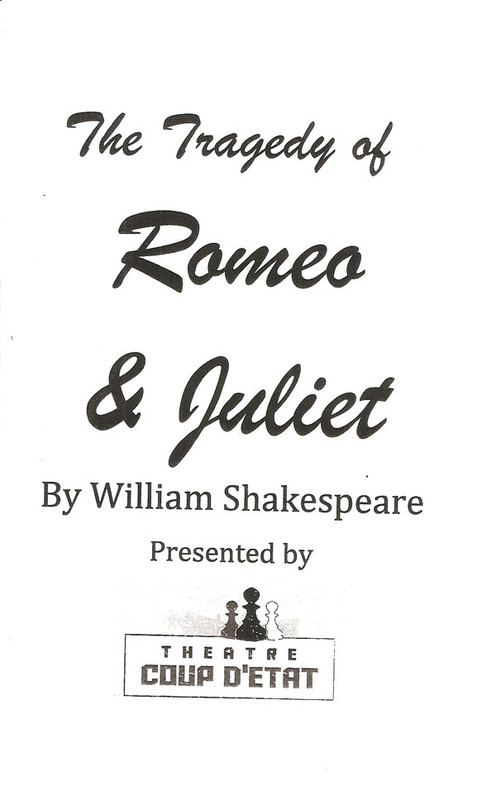 Strong performances by the entire cast are led by our Romeo and Juliet. Christina Castro is a strong and likeable presence as Romeo, believably falling in the love with the girl across the room at a party, who just happens to be the daughter of her family's enemy. Briana Patnode's Juliet is all sweet wide-eyed innocence, until her new love kills her cousin and is banished from Verona, and her innocence turns to despair. Meri Golden provides some comic relief as Juliet's story-telling nurse. Also notable are Alec Barniskis as the Prince, with appropriately imposing height and commanding voice; James Napolean Stone as Mercutio, especially his entertaining fight and death scene ("a curse on both your houses! 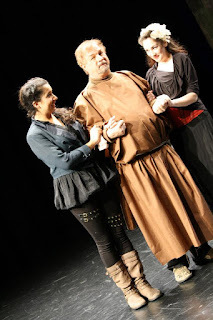 "); and Paul Schoenack as the friar who tries to do right by the young lovers. 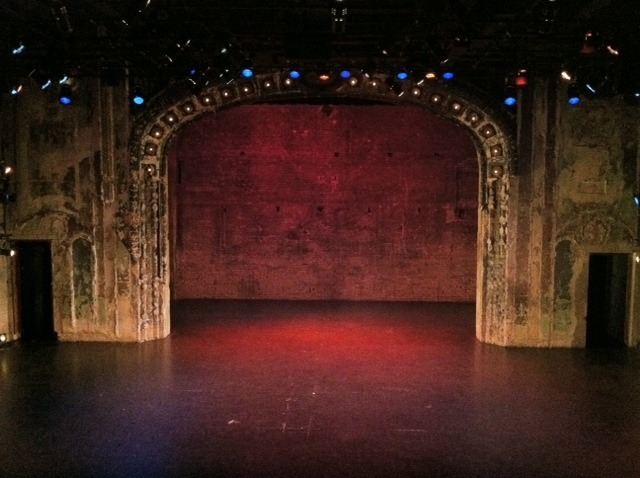 The Southern Theater contains the most beautiful stage in the Twin Cities. With the cavernous space in front of the original arch, the possibilities are endless, and it's perfectly suited to a classic story like Shakespeare's. 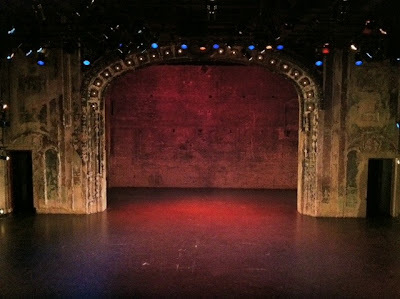 Theatre Coup d'Etat makes good use of the space with just a few necessary and basic set pieces. The costumes (by Tyler Stamm) are simple but beautiful, classic with a modern twist. I appreciate that the Capulets wear a bit of red, while the Montagues wear a shade of blue, because sometimes I have a hard time remember who's on which side. Romeo's look - boots, leggings, and jacket - is not overly feminine, but not that different from what women wear today. Juliet's wardrobe is as lovely and sweet as she is. This is a great production of a classic piece of theater. Romeo and Juliet is a show that's done so often, you almost need a new take on it to justify doing it again. Or rather, I need something different and interesting to make me want to see it again. Re-imagining Romeo as a woman is just that twist that makes you see and appreciate the story in a new way, without significantly changing it.